Give Little Ones All the Power They Can Handle! With 3.5 mph of exciting speed, it’s just enough to make 'off-roading' adventures fun and safe – in forward and reverse. For added safety, there’s an electronic braking system that automatically stops the vehicle when the driver’s foot comes off the pedal. 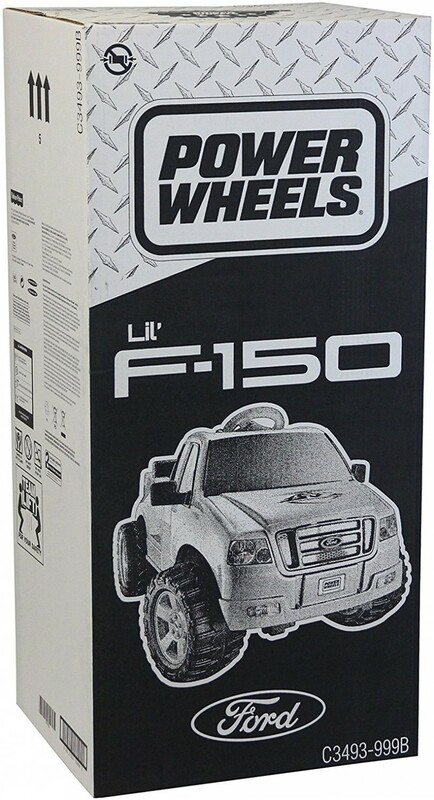 The Power Wheels Ford Lil’ F-150 is constructed from durable plastic for years of tough use, holding up to 65 lb (29.5 kg). 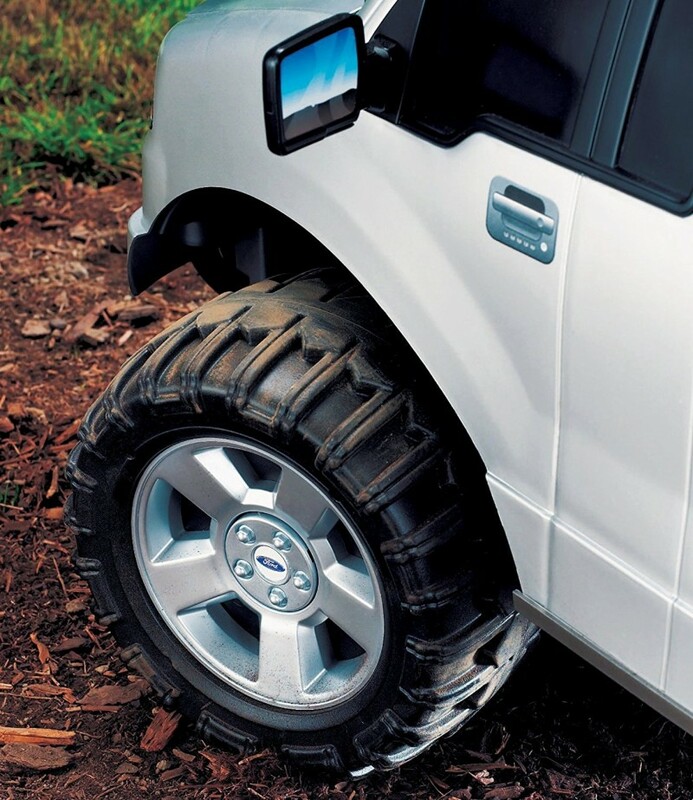 Extra wide tires provide super safe vehicle gripping on both cement and grass. Shift Development and Imaginations Into High Gear! 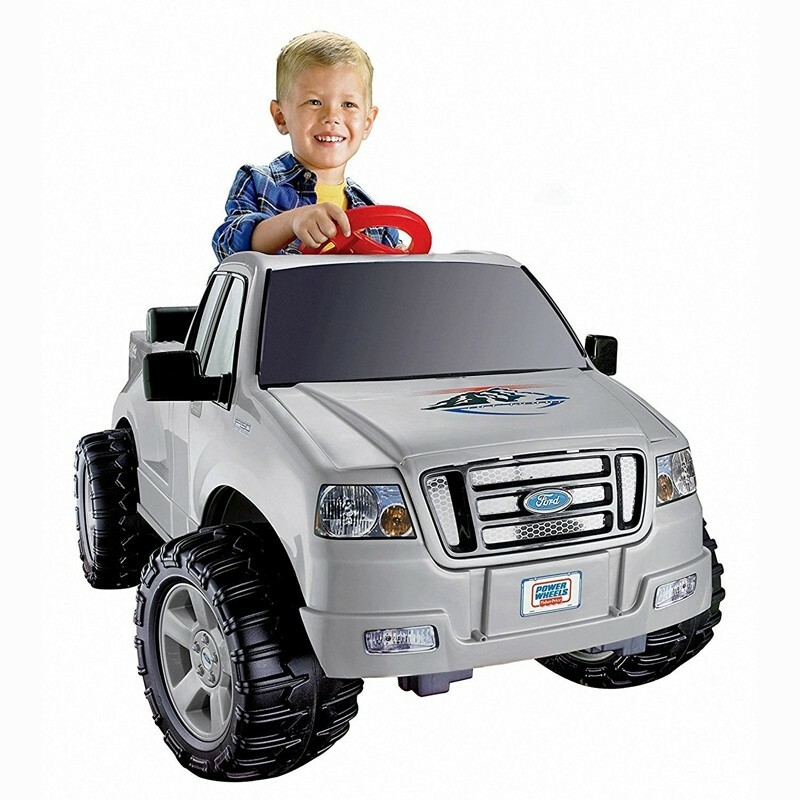 By putting toddlers in the driver’s seat and letting them control the action, you’re helping to build a sense of self-confidence as well as balance and gross motor skills. As they learn how to start, stop and handlethe vehicle, they’re also learning about cause & effect. 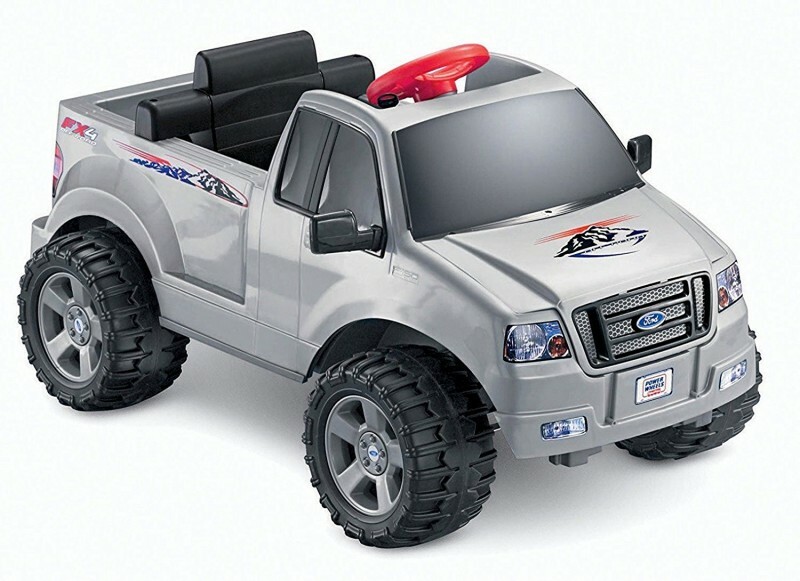 The realistic details make it easy for kids to role play going off-road through the mountains, across muddy trails, down unmarked roads or a quick tune-up at the garage.